Dr. Marissa Nichole Rylander received her Ph.D. in Biomedical Engineering and her master's and undergraduate degrees in Mechanical Engineering all from the University of Texas at Austin. She was a faculty member at Virginia Tech for eight years in the Department of Mechanical Engineering and School of Biomedical Engineering and Sciences before joining the faculty at The University of Texas at Austin. Her research involves multi-disciplinary elements of bioheat transfer, nanomedicine, biomedical optics, tissue regeneration, and cancer engineering. She is a current recipient of the Werner W. Dornberger Centennial Teaching Fellowship at The University of Texas at Austin. 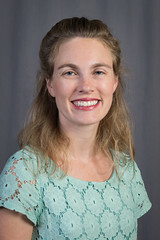 While at Virginia Tech, she received the Outstanding New Assistant Professor Award in 2008 and the Faculty Fellow Award in 2010 for excellence in research, teaching, and service. She received the 2012 Y. C. Fung Young Investigator Award from the American Society of Mechanical Engineers. She awarded a NSF Early CAREER Award in 2010 focused on development of a novel sensing system for characterization of the spatiotemporal tumor response to nanoparticle-mediated photothermal and photochemical therapy. She has been awarded numerous grants from the National Institute of Health and National Science Foundation in addition to many internal grants. She has published over 60 peer-reviewed articles in high ranking journals such as PNAS, Nano Letters, Cancer Research, Nanomedicine, Biomaterials, and Tissue Engineering, graduated eight Ph.D. students and five M.S. students. She is the Co-Chair of the Biotransport Committee for the ASME Summer Bioengineering Division, has chaired sessions for the ASME Summer Bioengineering Conference for the past five summers, and is serving on the ASME NanoEngineering for Medicine and Biology Steering Committee.